Theranos is considering renting out all or part of its headquarters in Palo Alto, California. According to a listing by real estate company CBRE, there are four spaces available for lease in the 116,000 square foot facility. 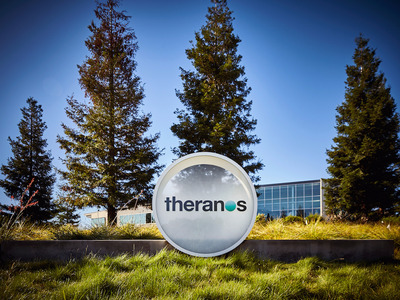 If Theranos were able to sublease the entire Palo Alto location, the employees located there would likely move to the Newark facility, a Theranos spokeswoman told Business Insider. The building, located in Stanford Research Park was completed in September 2014.
Business Insider first spotted the listing in a tweet from Wall Street Journal reporter John Carreyrou, whose investigation into the company starting in October 2015 placed the company under scrutiny, particularly around the accuracy of its blood test. One of the company’s locations was shut down, and its founder — Elizabeth Holmes — was barred for two years from running a clinical lab. Until October 2016, Theranos’s business model was based around the idea that it ran blood tests using proprietary technology that requires only a small amount of blood. Since then, the company has pivoted to focus solely on the company’s miniLab technology. The news of the possible sublease comes after a series of settlements between Theranos and investors, as well as the state of Arizona. On April 17, Theranos said that it had settled up with Centres for Medicare and Medicaid Services, the government agency responsible for regulating blood-testing labs. As part of the settlement, Theranos has to pay $US30,000, and the company won’t be able to own or operate a clinical lab within the next two years. In return, the CMS is no longer revoking Theranos’s CLIA certification, which is needed to run a blood-testing lab. On April 18, Theranos agreed to pay Arizona $US4.65 million to refund anyone who paid to take one of Theranos’s blood tests, and will also pay $US225,000 to cover civil penalties and attorneys’ fees. And on May 1, Theranos settled two lawsuits with Partner Fund Management, a hedge fund that invested $US96.1 million in the company. The Wall Street Journal reported that Theranos is also close to reaching a settlement with Walgreens. In November, Walgreens filed a $US140 million lawsuit against Theranos, accusing Theranos of a breach of contract. Walgreens ended its relationship with Theranos in June 2016. It had operated Theranos Wellness Centres, where people could go have their blood tested in the company’s stores.